Valiant explorers continued to bring back a bewitching treasure trove of scented materials to Europe. Men like think Vasco de Gama (1469-1524), Magellan (1480-1521) and Columbus (1451-1506) brought vanilla, pepper, Peru balsam, cardamom, sandalwood, clove, cocoa… Many were used for flavouring, but also found their way intro fragrant creations. There was a growing trade with the East in living plants, too: orange trees (producing not just fruit, but that most romantic and innocent of fragrant blossoms), jasmine, rose… With perfect timing, the distillers were getting ever-more-expert: essential oils could soon be distilled from frankincense, pine, cedarwood, cardamom, fennel, nutmeg, agarwood (‘oud’ as we know it today), sweet flag, anise and more… Mostly, though, perfumes were still used to mask awful odours – which made lingeringly heady scents like tuberose, jasmine and musk particularly popular. 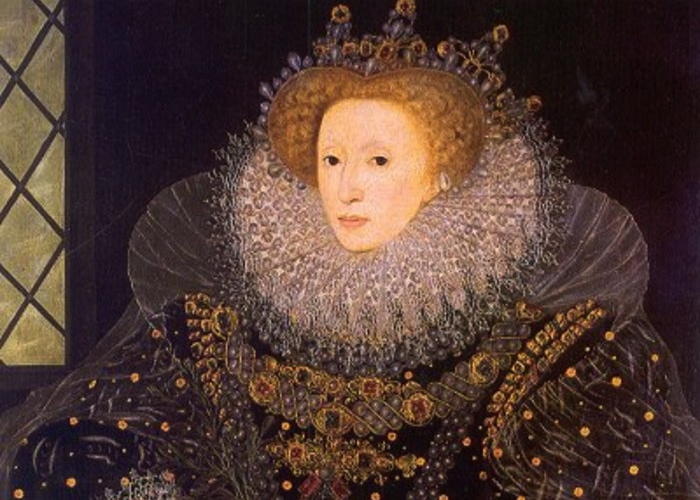 Queen Elizabeth I beckoned Venetian traders to Southampton to offer their scented wares: it became fashionable to wear musk- and rose-scented pomanders and sachets, in particular. 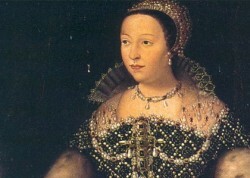 But soon, the epicentre of perfumery moved from Italy to France – thanks to the influence of Queen Catherine de Medici (below), who married King Henri II in 1533. Until then, French enjoyment of the scent world was mostly in the form of little scented sachets (called ‘coussines’) or moulded clay bottles (known as ‘oilselets de chypre’). But Catherine brought with her from her native Tuscany scented gloves, the perfume used to mask the unpleasant aroma of poorly-tanned leather. At the same time, her personal perfumer set up shop in Paris, where he was besieged by orders.